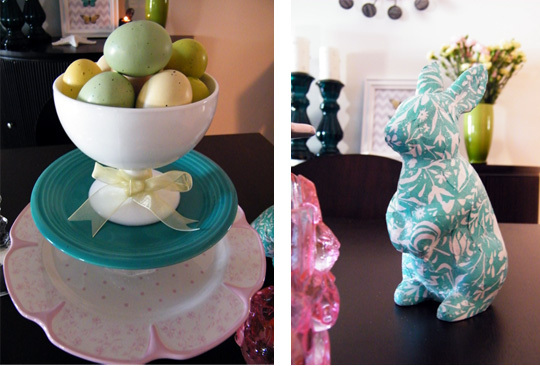 We had Easter Brunch at my sister’s house, so I decided I would do a fun Easter centerpiece to enjoy for our table at home. 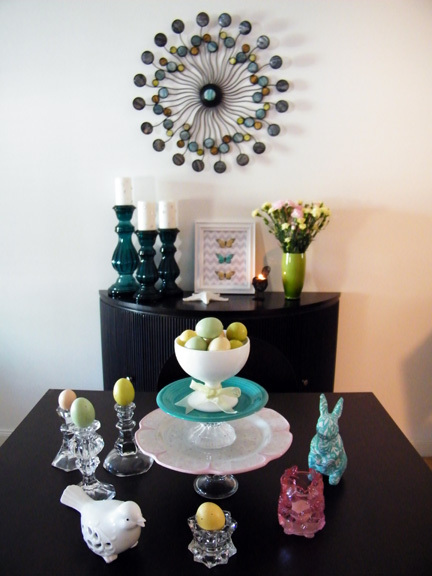 I only bought two things… the Bunny and the Eggs, the rest of the items I had. Instead of a true centerpiece, I created more of a display/vignette. What did your Easter look like? Mine was filled with family and fun! 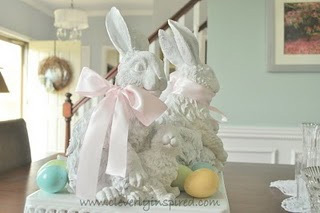 We went to a fabulous Last Supper play at our church, then headed over to my sister’s for brunch and an Easter Egg Hunt!